The Rebel Sweetheart. : Join | Xperience Days Father's Day Giveaway! It is a perfect time to find what gifts you would like to give to your father. Makobi Scribe is proud to present Father’s Day Gift Ideas Giveaway Event. Earlier, I promised to give my dear readers something special for them and the significant men in their lives. Here it is - an Xperience Days gift certificate worth $50, which can be used on one of the many unique experience gifts that they offer. Xperience Days is a one stop shop for the country’s most exciting experience gift certificates and unique gifts, which are suitable for all occasions. With thousands of unique experiences in every corner of the country, from Trapeze lessons in New York to cookery classes in Boston - and everything in between; there is a unique gift idea to make every birthday, Christmas, wedding or anniversary that bit more special for your friends and most loved ones. So whether you’re looking for the perfect birthday gift for a man who has everything, a Christmas gift for your mother or an anniversary gift for your wife; Xperience Days has the choice and quality to ensure anything bought with the XD stamp of approval is a uniquely memorable gift that they will cherish forever. And with the stream of new and exciting activities being added all the time - even the most adventurous of individuals will find a new experience to enjoy. Once you have filtered through the vast choice and decided upon the perfect experience gift, your XD gift certificate will be shipped in a stylish presentation pack which can be redeemed as and when they wish. Our gift certificates carry no expiration date, and can be exchanged for free – what more could you ask from a gift certificate? 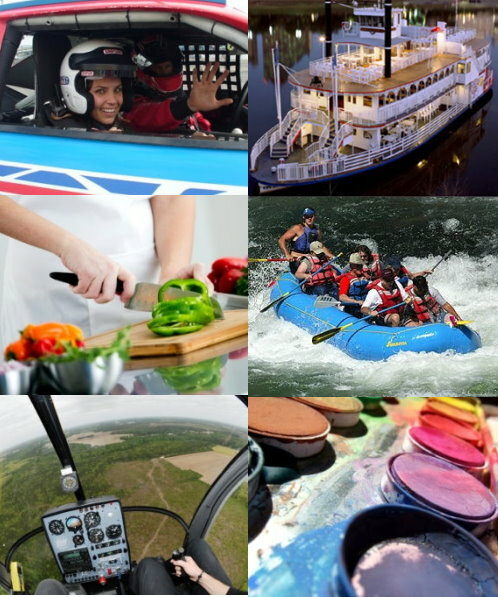 An experience gift allows those lucky recipients to enhance their skills repertoire and experience resume with an activity they may have been oblivious to – sparking a new love of activities and creating the memories that will stay with them for ever. So next time you are looking for the perfect present - make it an experience gift from Xperience Days. Ready for a great Xperience? Enter this giveaway via the Rafflecopter below. Remember, you need not do all of the tasks listed, but by doing so, you earn more entries and thereby increase your chances of winning. This event will run from June 10 until June 18, open to US/Can only. Once you're done, please take time to visit my fellow bloggers who are participating in this event, too. They've also prepared gift ideas that will make Father's Day truly memorable for you and your family. I would give it to my fiance who after all we have been through and all hes done for me in 10 years deserves it. I like the NASCAR: Champion Ride the best and I would give it to my dad because he's a huge fan. I would get the Chesapeake Bay Sailing For Two to my boyfriend so he can take me....lol. I'd love to give the Tremont Food Tour prize to my husband! Would most like the NASCAR driving experience. Looks like a lot of fun. flight lesson in eastern ma!! sounds fun!! maybe i could do it with my fiance?! Richmond culinary walking tour. Would give it to my husband. Chicago food tour for two so I could go with my husband! The Flying Lessons for my husband. I would probably choose Orlando.